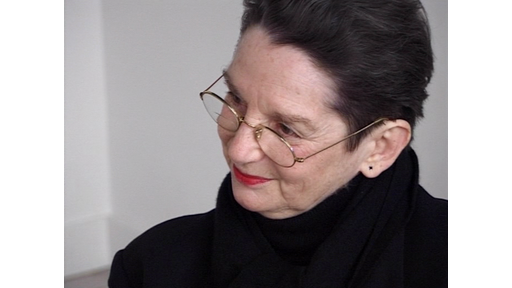 Willem van Weelden interviews Dutch video art pioneer Nan Hoover. In December 1997, the Netherlands Media Art Institute officially opened its new building on Keizersgracht 264, Amsterdam. On the occasion of this 'Grand Opening', Dutch researcher, artist and teacher Willem van Weelden has interviewed several media artists about their work. Nan Hoover (1931-2008) was one of the Netherlands' most prominent and pioneering video artists. This interview covers a range of topics, such as her development as an artist, moving from painting to time-based media, the use of the body in her work, and her sources of inspiration and creativity. Nan Hoover elaborates the starting points of her work and how she experienced the collaboration with dancers and choreographers, as well as working with students from art academies.